At our October meeting Jackie Smith, the archivist for Christ’s Hospital in Abingdon, gave an interesting and detailed account of the foundation and development of the charity. Christ’s Hospital was established in 1553 by Royal Charter of Edward V1. 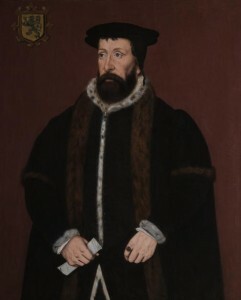 Sir John Mason, a Tudor diplomat born in Abingdon played a major role in gaining the charter for the new charitable foundation. Roger Amyce plus local men, including Richard Mayotte, Thomas Tesdale and Oliver Hyde contributed to the expense of obtaining the charter. The main obligation of the charity was to care for the Long Alley almspeople who were to receive 8 pence per week, 1 shilling at Easter and 5 shillings a year for clothing: gown and hoods for the women and gown and hats for the men. In addition, the charity shouldered the maintenance of the town’s bridges including those constructed by the Fraternity of the Holy Cross – a medieval religious guild. They also maintained the bridge over the River Ock to the west and the medieval arched stone bridge at the confluence of the Thames and Ock known as St. Helen’s Bridge. 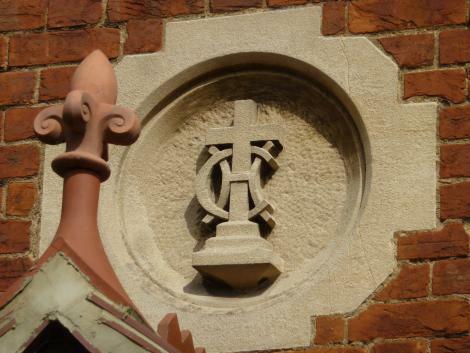 Christ’s Hospital were also involved in the education of Abingdon boys from 1608 onwards. They administered and appointed Bennett scholars and Tesdale ushers at Abingdon School. An usher taught 6 poor boys at the school. The History Society would like to thank Jackie Smith for her informative talk. This entry was posted in General interest, Local interest, Talks on October 15, 2015 by Bob Goodenough.